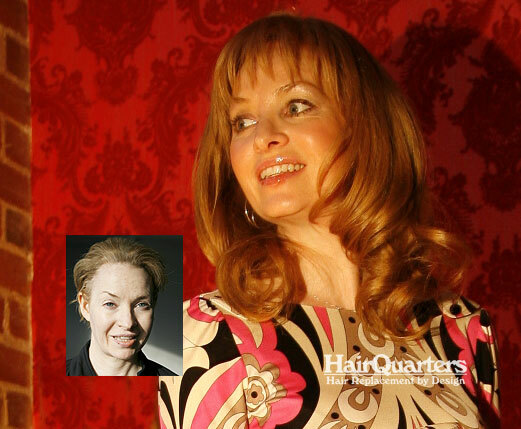 HQ PREMIER HAIR FOR WOMEN is so light, so breathable, so beautiful that our HQ Premier clients just love it. Utilizing the latest in women’s hair replacement technology, we can help you restore your hair to its natural, beautiful self. Regardless of whether you need a little or a lot, HQ PREMIER HAIR can be your answer. 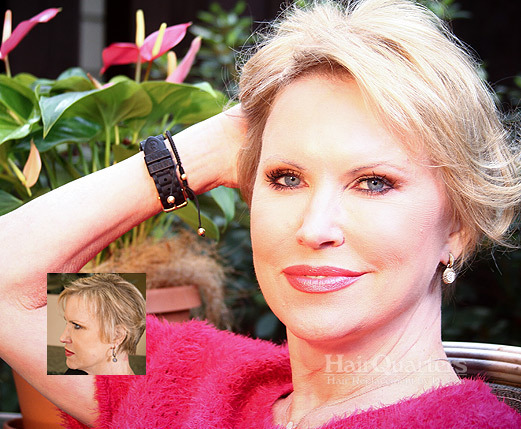 Our exclusive custom women’s hair replacement system can be colored and styled any way you choose. That’s because it’s made from the finest in 100% natural human hair, enhancing the volume of your own hair with just the amount of added hair you want or need. While not for everyone, our Premier Hair integration method provides exact color match to your existing hair, increased hair density exactly where you need it, that is individually customized to your specific hair loss hair replacement needs. Made of 100% human hair, this featherweight, breathable system integrates perfectly with your own hair is such that you can run your fingers through your hair without being able to tell where it begins or ends. Thinning hair is not a problem anymore because our exclusive HQ Premier Hair Intergration system is the completely natural, personally customized fashionable hair loss solution for women that is totally and completely undetectable. Our exclusive Premier Hair Integration Method is designed to restore the natural fullness and healthy look you want for women suffering the devastating effects of a wide range of hair loss problems, from the minor to the severe.  There are HairQuarters Premier Hair Integration restorations designed to supplement hair in just the crown area. There are those designed to add volume to the top of the head while maximizing the use of existing hair; a particularly good solution for women suffering from diffused hair loss. Maybe you’ve tried wigs, wiglets, extensions, Rogaine, weaves and any number of other remedies without much success. Why will the HairQuarters Premier Hair Integration System be any better? 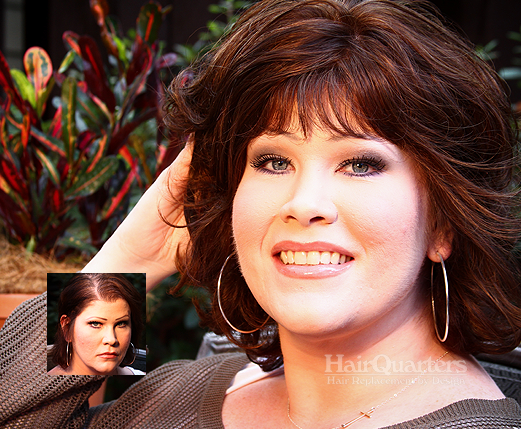 For one, a HairQuarters Premier Hair Integration System is different. Featherweight, breathable, and beautiful, it is a state-of-the-art hair integration technology that has been adapted to the specific problems of women’s hair loss. The hair color can be matched to your own, or to shade you feel is most flattering. The styles in which your hair can be worn are almost unlimited. Custom designed to your specific needs, the texture, look and feel of your new hair will be indistinguishable from your own existing hair. Simply put, a HairQuarters Premier Hair Integration System will make you look as if you never started losing your hair.